During the time following Halloween, before Christmas, we don’t do much crafting unless it’s a project that can be completed within an hour. 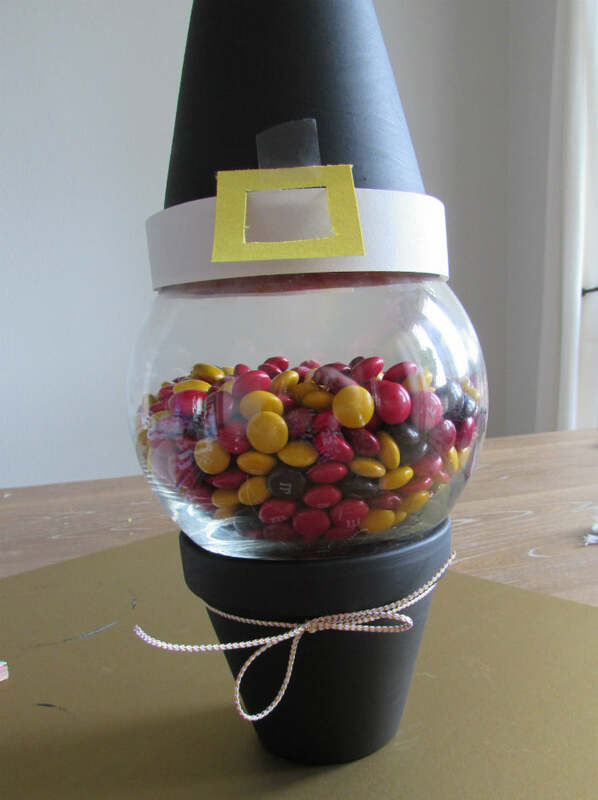 So when we saw some of the awesome DIY candy jars during Easter time, we fell in love. The best part is that you can customize one for every holiday. 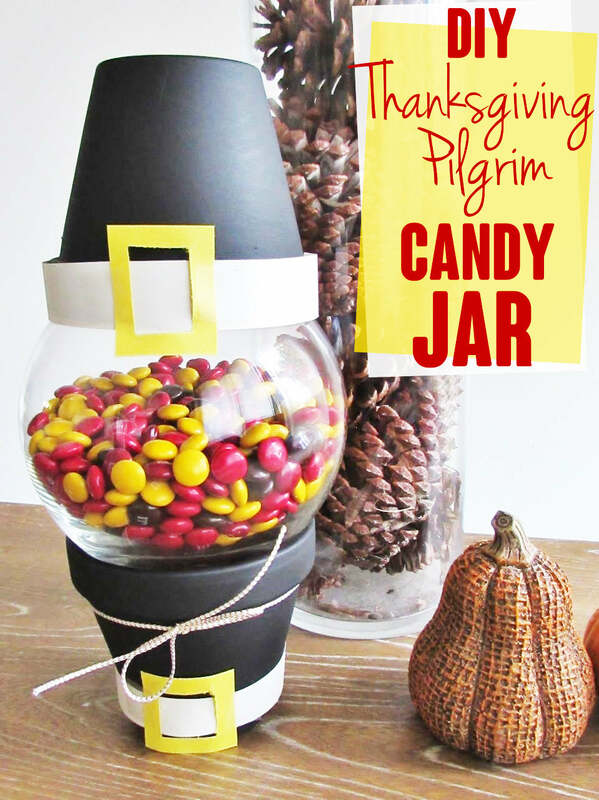 It’s budget-friendly, takes less than 15 minutes to make, and it makes a great centerpiece for a kids’ table. As wonderful as Thanksgiving is, it’s hard to justify spending a bunch of time and money on decorating when the effort is going to be focused on cooking. Plus, we all know that it’s just a stepping stone for the greatest holiday of the year: Christmas. 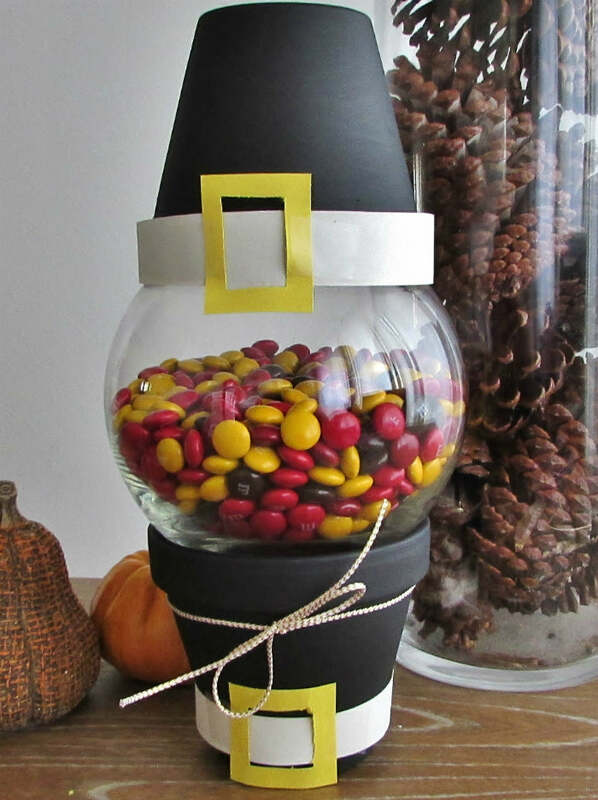 So we decided to give the DIY candy jars our own Thanksgiving spin with this Thanksgiving Pilgrim Candy Jar. Put this on the kids’ table on Thanksgiving while the adults are conversing over wine and they’ll hopefully stay busy for at least an hour. Let them do the craft themselves and you’ve bought yourselves another hour. Thank us later and happy Thanksgiving! 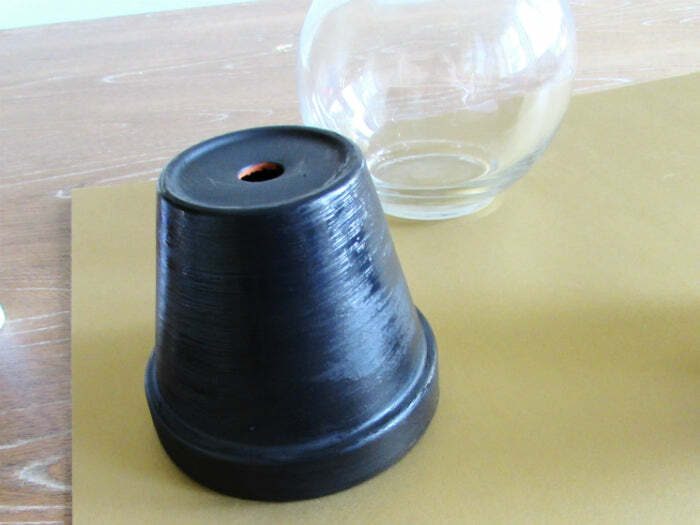 First, we painted our terra cotta pots black. The acrylic paint dried with a matte finish, which we love. Next, we cut out some yellow construction paper to make the buckle of the flower pot hat and the flower pot shirt. Originally, we used a matte gold piece of posterboard but we later found that yellow construction paper works so much better. 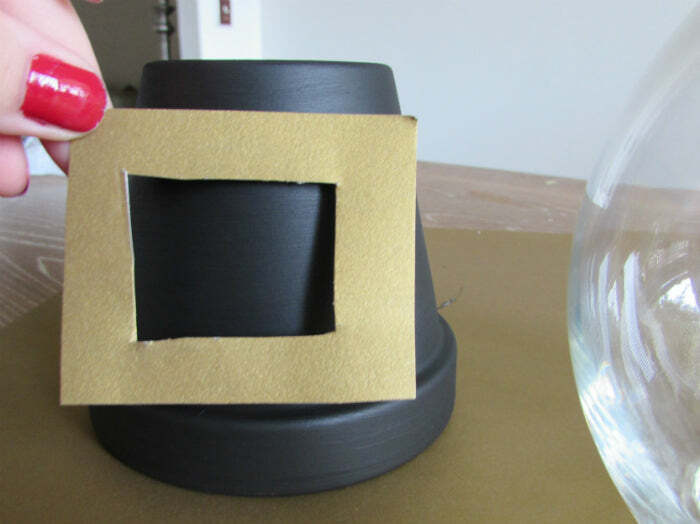 You can paint the rim of the flower pot hat, but we decided to keep with the construction paper theme and cut a border out of white construction paper. 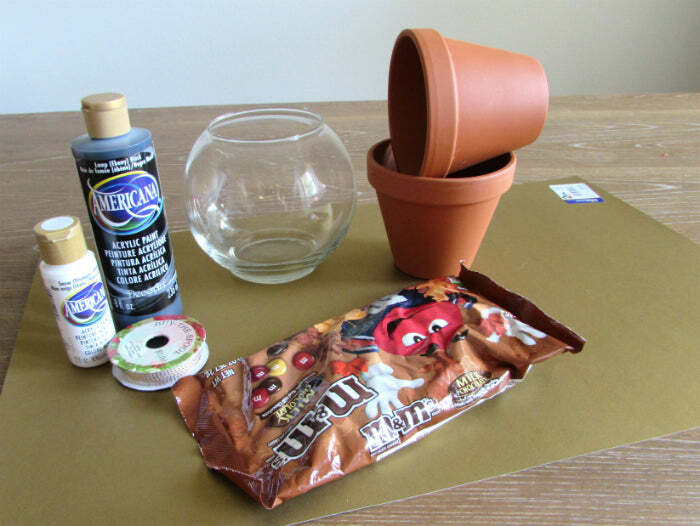 Tie a ribbon around the bottom flower pot and put everything together using craft glue. This is definitely one of the easiest crafts we’ve ever made. What do you think? 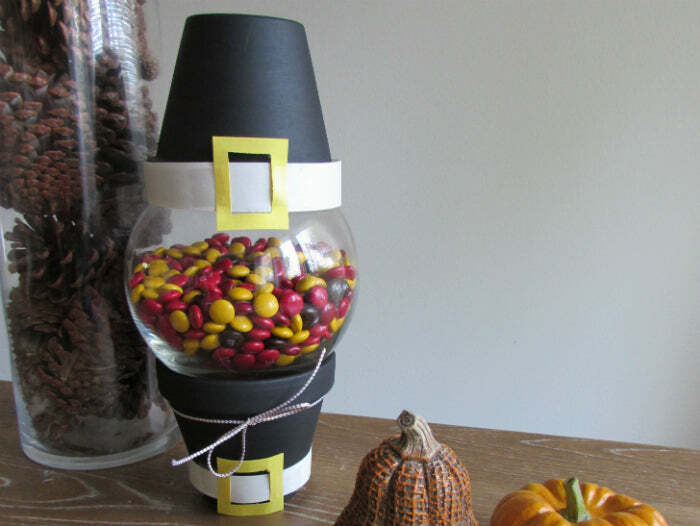 What are some of your favorite Thanksgiving crafts to make?